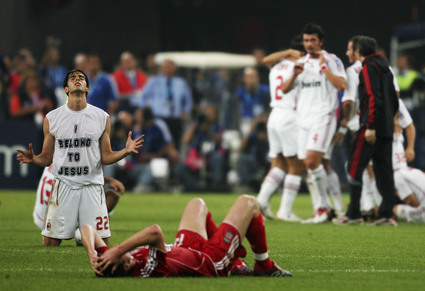 Hilarious proof that even Brazilian footballers aren’t infallible when it comes to a good blooper. Rafa Benitez is Pies’ beard wearer of the year, no question. Stephen Ireland is the new Gazza – undeniably talented with his feet but daft as a brush. Lying about the death of one grandmother could be seen as unfortunate; lying about the death of both is the behaviour of someone with severe judgment and maturity issues. And don’t even get me started on his Superman pants. ‘It’s not a problem,’ Ron said after he picked up a nasty gash above his right eye, caused by a stray elbow during Man Utd’s Champions League match against Roma at Old Trafford in October. ‘In four or five days I will be beautiful once again,’ he continued, proving that his ego remained as healthy as ever. That’s not a diveâ€¦Â this is a dive! Sarcasm taken to a new level on the field of play. We’ll never now for sure if IFK’s Andres Vasquez meant this rebona chip, although the fact he can do it at will might suggest he did. One of our bloggers described it at the time as ‘The Greatest goal ever scored’. That’s obviously not true, but it’s still a hell of a strike. If I tired to do that, I’d break both of my ankles. Healy scored 13 goals in Northern Ireland’s 12-match qualifying campaign for Euro 2008. That’s a staggering, mind-boggling tally, especially given that Healy was playing in such a mediocre team â€“ and one that didn’t qualify for next year’s finals. He may never scale those heights again, but Healy’s record will surely stand for a long, long time. The defining image from the 2007 Champions League final, in which AC Milan beat Liverpool. 2 Scotland beat Franceâ€¦ in France! And yet McQueen’s reaction was still not quite as passionate as the commentator on Radio Clyde. And here’s how it compares with the 1986 original. So that’s our favourite moments of the year. Any of your favs that didn’t make the list? what abt Jose’s exit ? 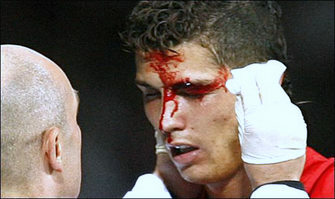 Ronaldo didnt loses his looks even with a botched up eye. Some would say that considering he constantly pouted over the minor cut made him more pretty. 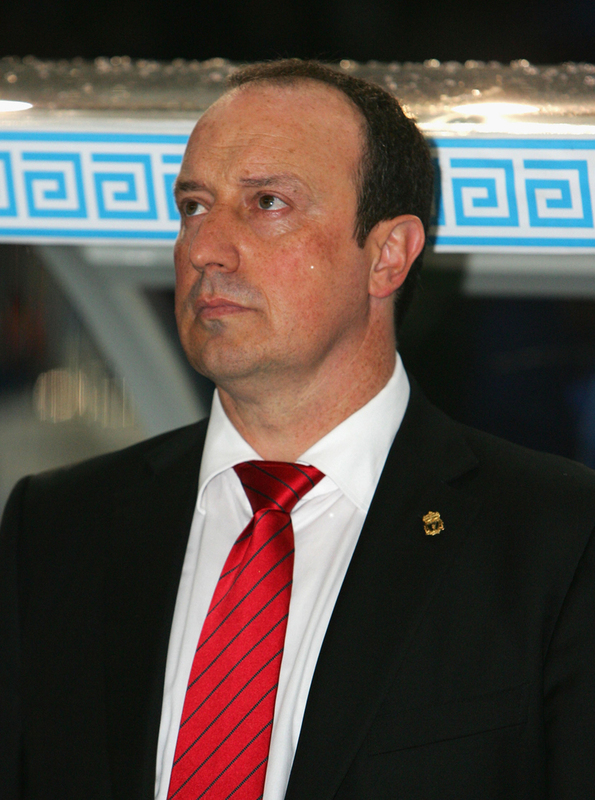 As for the ‘Rafa’ goatee… thats just criminal!